Disclaimer: The food and lodging was provided complimentary by the Kohler Co. All opinions are mine alone, as always. Winter in Wisconsin brings short days, memories of warmer weather, dreams of farmer’s markets, and a restlessness in me that can only be cured by April. In an effort to combat the inevitable cabin fever that always sets in after the frost, this year I have vowed to find winter activities to combat the melancholy. In my first uprising against Old Man Winter, I incorporated sledding into my winter plans this year. My wife and I discovered a fantastic hidden sledding hill less than a block from our house. Armed with a cheap sled, and a child-like level of maturity, I’m excited to make great use out of that hill this year. Oh yeah, and my five year old step son and nephews, I should probably bring them too. My next winter bucket list item was to find a foodie getaway. My wife and I have a slight addiction to weekend getaways, frequently taking trips to anywhere within an afternoon’s driving distance. However, when I read about Kohler, WI’s five star resort, The American Club, and its twelve distinctive dining establishments, I knew Destination Kohler was exactly the type of foodie adventure I needed to spice up the season! The Kohler Company has really gone all out to create a world-class foodie destination right here in Wisconsin. 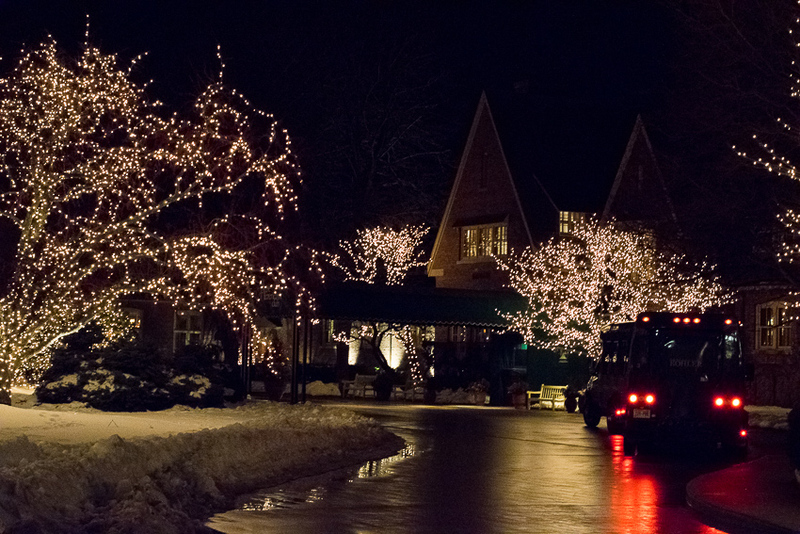 Under the umbrella of Destination Kohler, the company’s hospitality and real estate group, The American Club is the Midwest’s only AAA Five Diamond Resort Hotel, and they boast the food to match. My wife and I were fortunate enough to stay in Kohler during their first ever Chefs’ Night event. Held in the Kohler Design Center, Chef’s Night featured a sampling from many of the best chefs in Kohler and served as a fantastic opportunity to get a real taste of a variety of Kohler’s finer restaurants. Packed in a room standing shoulder to shoulder with other attendees, we eagerly ate our way around the event. Offerings such as a briny bruschetta topped with blue cheese, a creamy cauliflower soup, and even a smoky grilled octopus were enjoyed. 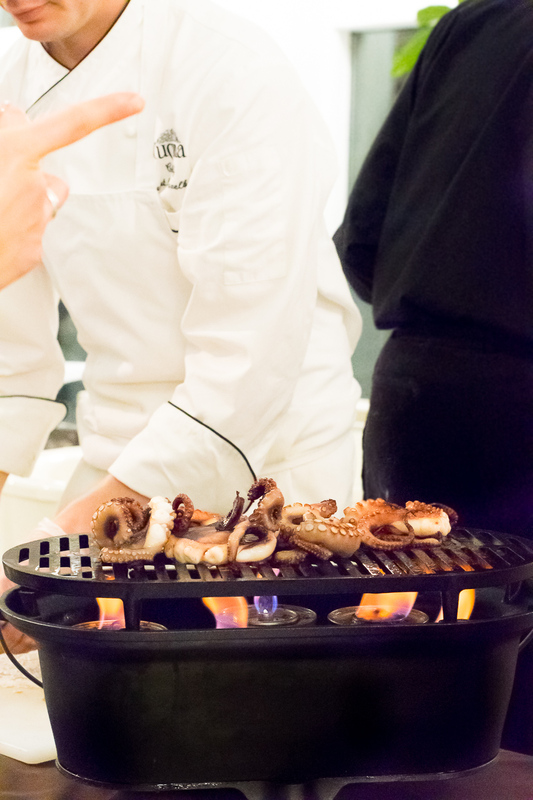 I certainly found the grilled octopus to be the most interesting. As the mild tentacles bathed in smoke, the first bite was reminiscent of the flavor I would expect to find in a chicken breast just removed from the Weber, however the flavors that followed were a quick reminder that this was anything but chicken! Tender, with a slight chew, it was salted like the sea, and infused with a rather mild seafood flavor. It was equally adventurous and enjoyable! Each station also boasted a drink pairing for attendees while a live band performed in the center of the room, ensuring no epicurean sensation would be overlooked. Pinot Noir, Gentleman Jack, and even cognac swapped through my hands like a speed dating service as I traded nibbles for sips. As we huddled around one of the few tables available, my wife and I made friends with an elderly couple from Milwaukee who gave us additional restaurant recommendations for the area, solidifying in my mind that my Kohler experience cannot be completed in one trip. There is just too much to enjoy. Finally, we made our way back through the rain to our room at The American Club. Originally built to house immigrants working at the Kohler Company, the historic charm of this nearly one hundred old building is evident throughout. From the impeccable professionalism of the staff, to the mimosas and terrapins greeting us when we arrived, there is nothing disparaging I can say about my experience at The American Club. Each door is held open for you, your chair is pulled out when you sit down, and you are helped back into your jacket after dining. My wife and I joked that we may never do anything for ourselves again! After a relaxing night back in our room we awoke and made our way to the Wisconsin Room for breakfast. Originally, the immigrants dining hall, the Wisconsin Room features a formal dining experience in an elegant atmosphere. 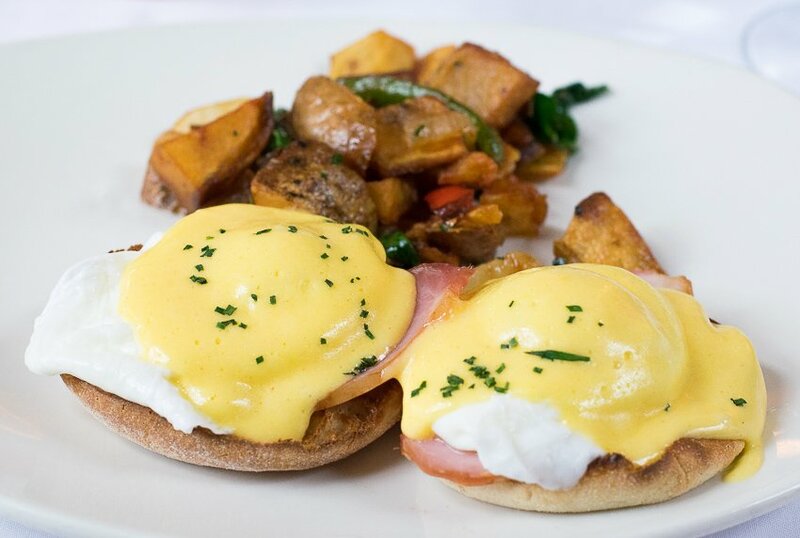 While slipping fresh squeeze grapefruit juice, I enjoyed a breakfast featuring a decadently buttery eggs Benedict, with shatteringly crisp breakfast potatoes. I eagerly sopped up every last crumb before we headed out to Craverie Chocolatier Café for some chocolate treats! You will want to try the terrapins before you leave Kohler. According to Head Chocolatier, Anette Righi DeFendi, Herb Kohler himself commissioned his world-class staff to create the best chocolate ‘turtles’ in the world. After more attempts than I suspect they care to remember they settled on this chewy treat featuring a smoky caramel, a special blend of milk chocolate, and hand-picked pecans. 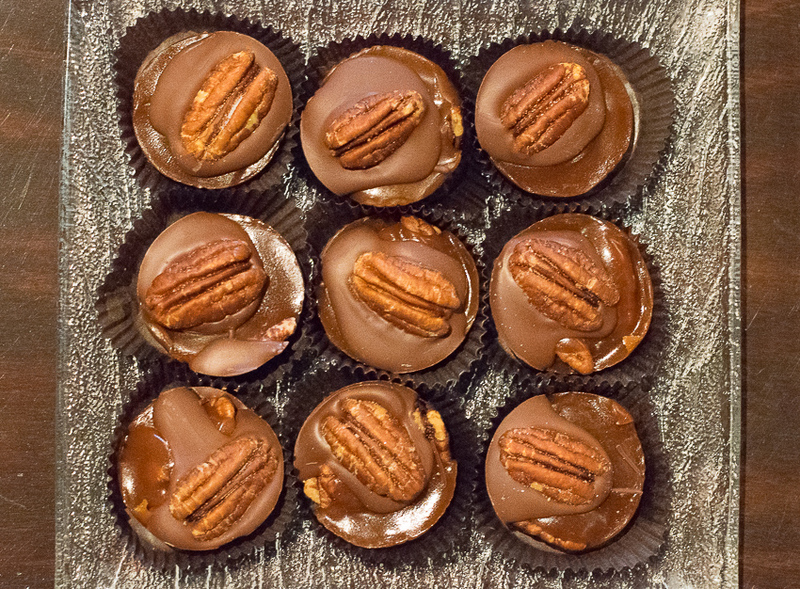 Yes, that is right, everything about the terrapins are hand done, from sorting through bags of pecans to find the perfect ones to be used as toppings, to manually placing each terrapin in the packaging and hand tying the bow. As soon as you bite in, you can taste the care they crafted into each morsel. 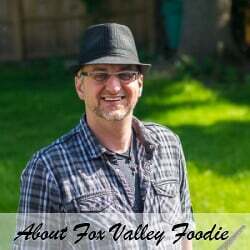 If you live nearby, like me, in Wisconsin’s Fox Valley, The American Club and Kohler is a must-take foodie destination. However, the five star refinements make this resort worth the travel for foodies all across the country. Featuring championship golf courses, horseback riding, and a world-class spa, there is something at The American club for everyone. Don’t feel bad if you missed Chefs’ Night, it is only one of many tantalizing foodie events you’ll find in Kohler throughout the year! 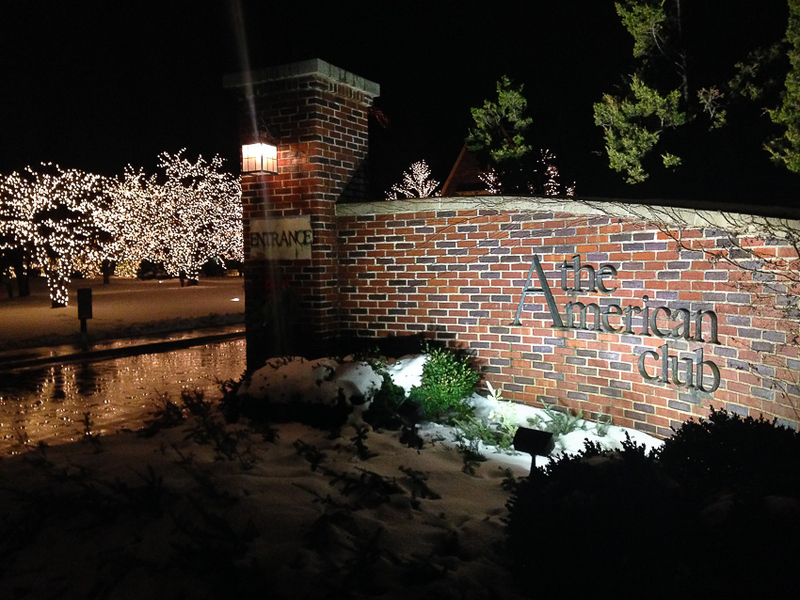 Have you stayed at The American Club? Let me know your experience in the comments below! If you enjoyed my American Club review then you should probably like me on Facebook and follow me on Pinterest too. That’s what I would do at least, because if you don’t get to know me but you still trust my review it is kind of like taking candy from a stranger, and your mom taught you not to do that. Don’t disobey your mom, subscribe to Fox Valley Foodie today. I combat the winter melancholy with a grow light and mild stimulants, but sledding and eggs Benedict would be a better alternative, I think.